Joyce is a shorter, yet large, assertive girl who rules the herd. She can have an attitude at times - especially with a cria at her side, as she is very protective. She is a BEW with black eyeliner but is not deaf. Her toe nails do require trimming multiple times per year. Even at her age, she has fine, very thick and shiny bright fleece that she passes on to her babies. It catches the sun and sparkles, unlike any of our other whites. 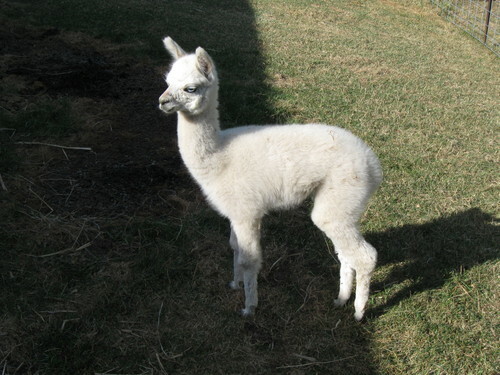 Her offspring-history seems to show that the cria's coloring is determined by the sire's color. Her dark brown 2004 daughter (Genevieve) was by a dark brown-white pattern sire; her beige 2009 daughter was by a light fawn sire; her BEW 2011 daughter (Polar) was by a black sire with white face; her silver grey 2012 son (Iggit) was by a solid black sire. She wants to be bred - cushing at the fence while others are being bred, and often partaking in 'girl-on-girl' activities. She can be bred to either of our black boys (Laredo or Blackbeard), if you want. However, both her 2011 and 2012 cria (Polar and Iggit) needed to be bottle fed to supplement her milk supply. Because of this, Joyce is at a very low price -- she needs a home that has the time to bottle feed her babies. 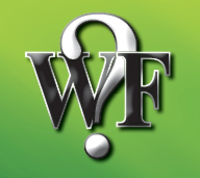 Awakening is co-owned with Brenda Weber of BlueRidge Alpaca Ranch outside of La Crosse, WI. We are thrilled to have Michelangelo's Awakening. He is a show champion and an established sire of champion off-spring. 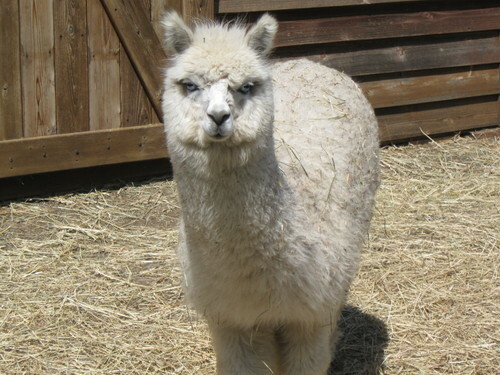 He often produces grey; in all cases where the dam is grey the cria has been grey. Polar is a BEW with black eyeliner, black nose, and black foot pads and toe nails. You can see the black skin under the white hair on her face, and she does have a fawn spot up close to her eye. She has a broad deep chest and clean straight legs. She does have a long back. She is very vocal, with a high-pitched hum. Polar is very curious, but at a distance, maybe because of her being deaf. She can be a handful at times, due to her size (200 lbs). Polar has thick fiber that has beautiful luster, but lacking any crimp characteristics. Her fleece shines when the sunlight hits it, unlike any of our other whites. Yarn spun from her fleece is noticeably brighter than from the other whites. Polar has (finally!) been bred to Michelangelo's Awakening. Hoping for a rose grey. 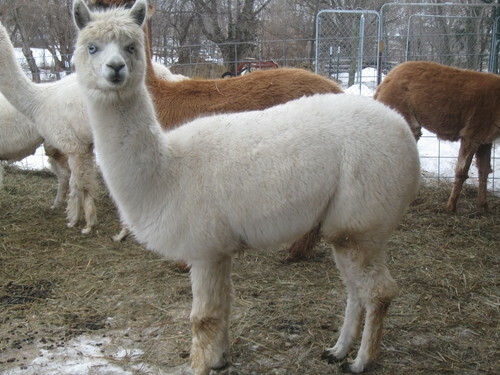 We will not sell Polar without another female, unless you can show that you already have other female alpacas.